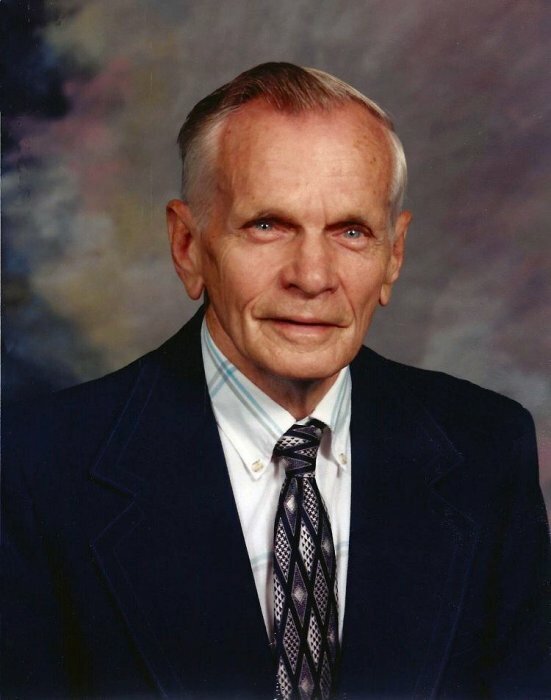 Richard Earl Fankhauser, 97, passed away peacefully while surrounded by his family on Sunday, February 10, 2019. Born in Canton, January 4, 1922, to the late Walter and Leora (Kerstetter) Fankhauser, Sr., Richard graduated from Canton McKinley High School with the Class of 1940. An honorably discharged veteran of the U.S. Army Air Forces, Richard served as a 2nd Lieutenant during World War II. He retired after 43 years as a machinist and engineer with Timken Research. He served as Treasurer for the Kiwanis Club of Navarre and served as Chair for the Bethlehem Twp. Zoning Commission. A member of Fohl United Methodist Church, Richard treasured his wife and family - especially his grandchildren and great-grandchildren and the times they had spent together. Preceded in death by his parents; his first wife, Wilma (Keefer) Fankhauser; daughter, Sandra (Fankhauser) Wendling; and his brothers Walter (Jr.) and William; Richard is survived by his wife, Janet (Hay) Fankhauser, of New Philadelphia; son, Teal D. Fankhauser, of Navarre and daughter, Laurie (Jeff) Longshore, of Massillon; 4 grandchildren and 4 great-grandchildren as well as several nieces, nephews and extended family. There are no calling hours. Private funeral services with burial to follow at Union Lawn Cemetery in Navarre will be conducted Friday, February 15, 2019. Memorial contributions may be made in care of the American Cancer Society. Arrangements have been entrusted to Atkinson Feucht Hare Funeral Home in Navarre.